There is free WiFi in the airport, airside, but not once you’ve passed Immigration and Customs. I found this out the hard way – the not getting any WiFi way. After Immigration and Customs there is an airport information counter, and a tourist information counter, which will give you a map of Bangkok and erroneous information. There are a couple of ATM’s at the end of the hall. I found my cards didn’t work, although they should have, as the cards are members of the right groups. I had some cash to exchange just in case this happened, and cash exchange booths are to be found near the ATM’s. 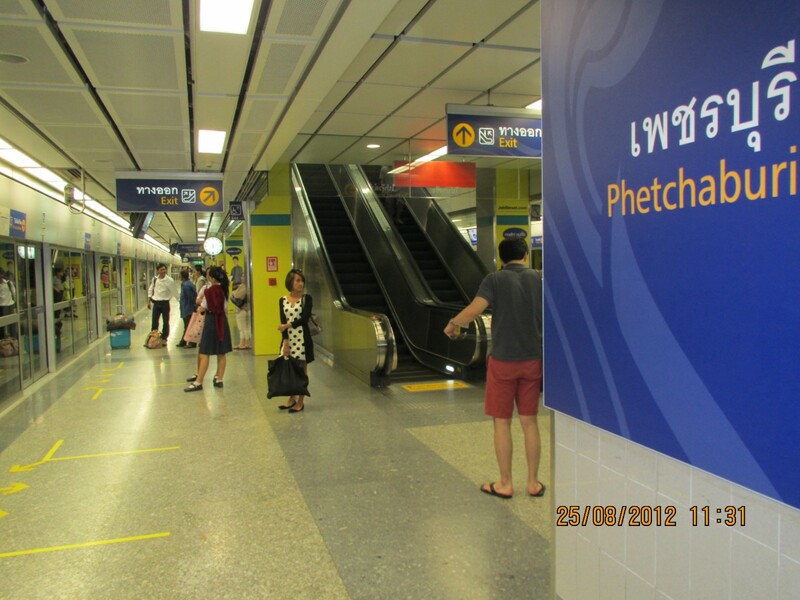 To get to the station go down to level B1, where there are also ATM’s, and buy a ticket to Makkasan, which costs 35. I bought from the counter so I didn’t have to struggle with lack of change and possibly incomprehensible machines. Actually you get a red token which you press against the sensor at the entrance turnstile. This station is the fifth stop. It’s very easy to understand. 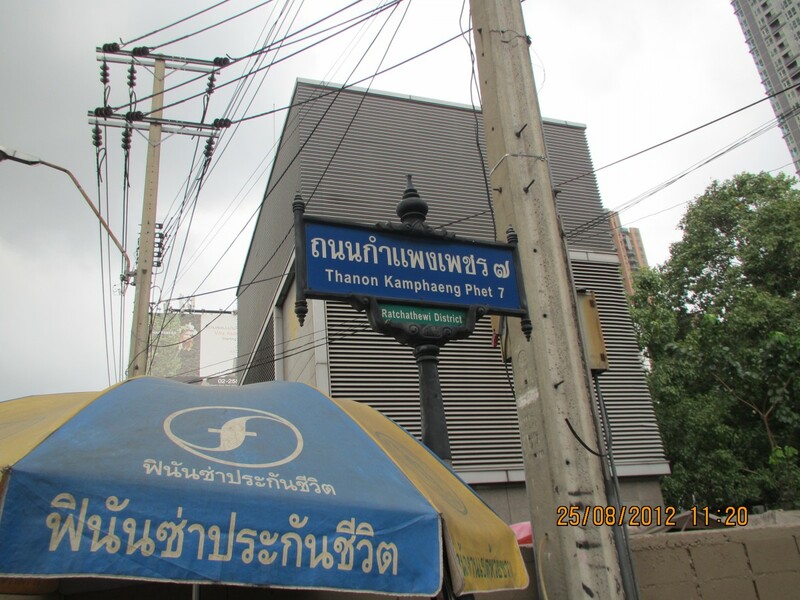 When you arrive at Makkasan follow the hordes out, put your token in the turnstile, and follow everyone downstairs. There is a free shuttle bus that takes you about 100 metres up the road.It’s quite funny when you realise it’s taken you only a few steps – and had they organised the station better they could have had an exit there anyway. 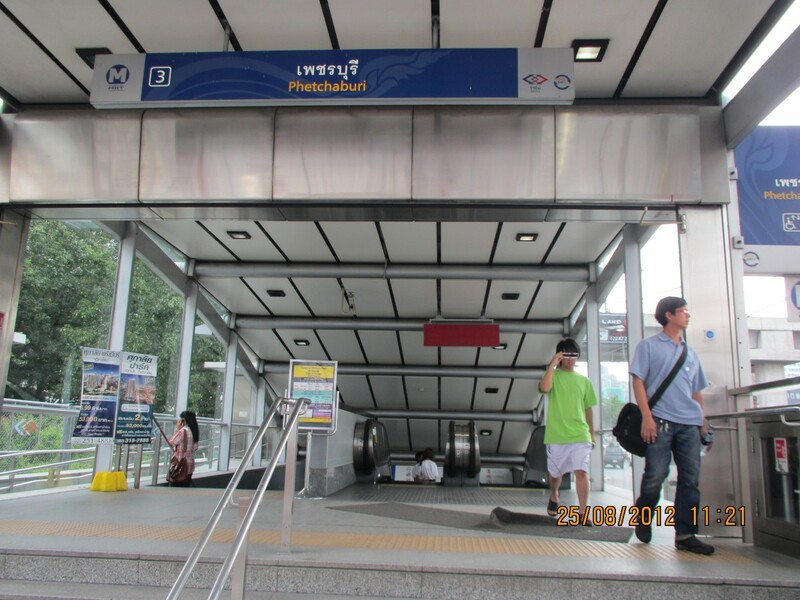 and you’ll find Phetchaburi station – it where everyone else was walking to, too. They have a security check, and I simply walked past the metal scanner and opened my bag for their inspection. ATMs are there, too. Then go downstairs to buy a ticket, which is 29, and again you get a token. The trains are further downstairs. 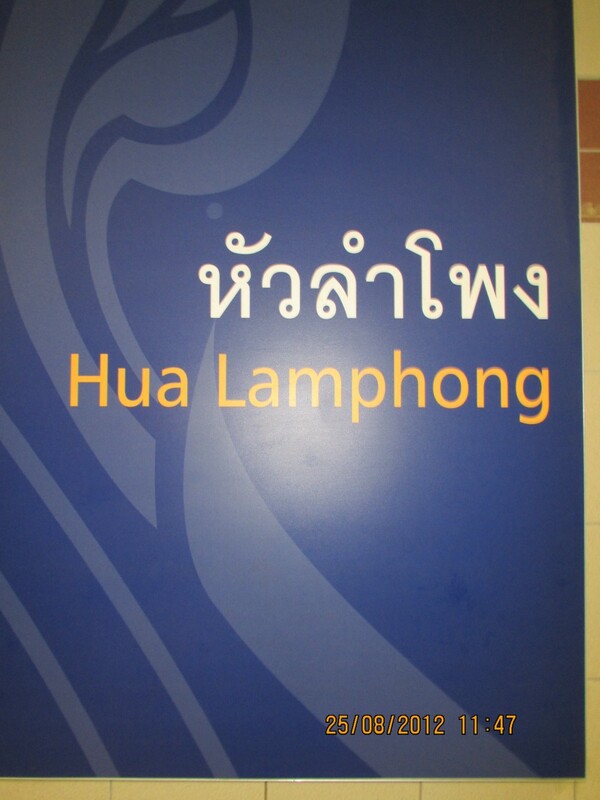 The railway station, Hua Lamphang, is the last stop, so it’s easy to pick the right direction. It’s the seventh stop. 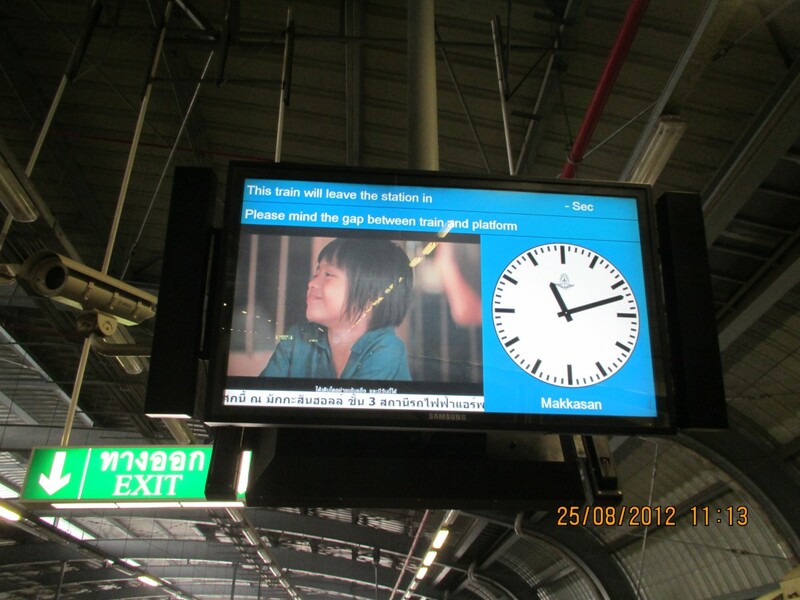 Announcements are given also in English on both trains. 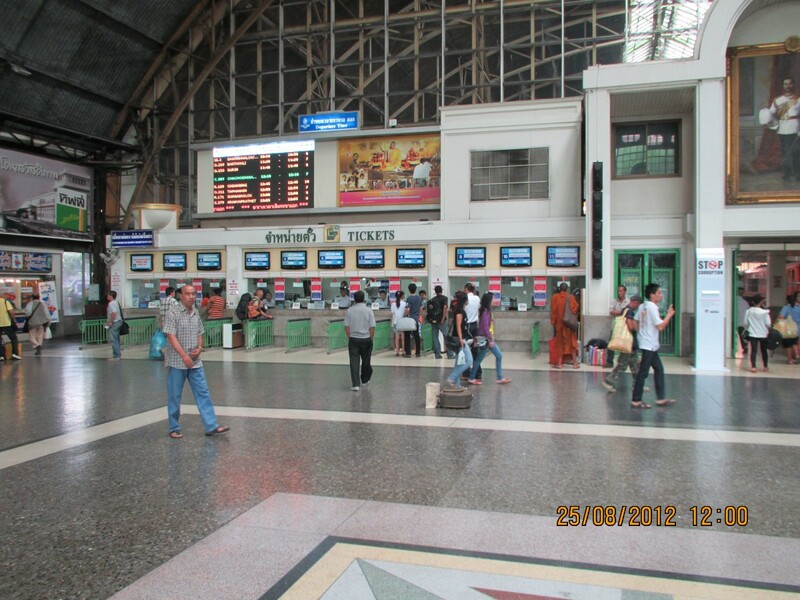 Once you arrive you take Exit 2, which takes you directly to the railway station. More ATMs in both stations. There are information desks there to help you. The trip took about an hour, and cost 64. Another guy on the train caught a taxi, which cost 500 and took an hour and a half. The shuttle takes you about half way. But it is easy enough to walk from where the shuttle drops you. 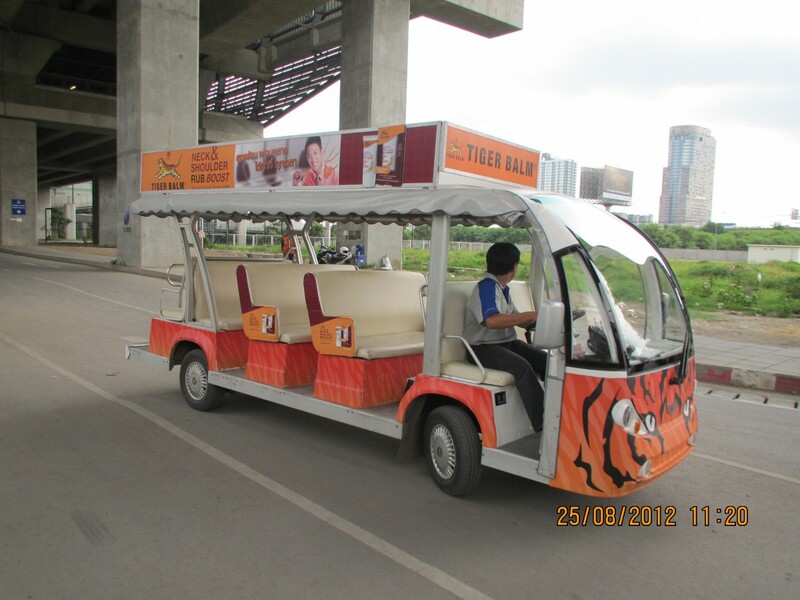 It is also easy to walk all the way from Makkasan to Petchaburi MRT Station. You just turn left out of the station, walk up the road, and turn right at the end of the stretch of the road, and the station is about 50 metres away. Thanks Ian! I saw a youtube video before and it seems that we have to cross a street without traffic light. Does that street have busy traffic? 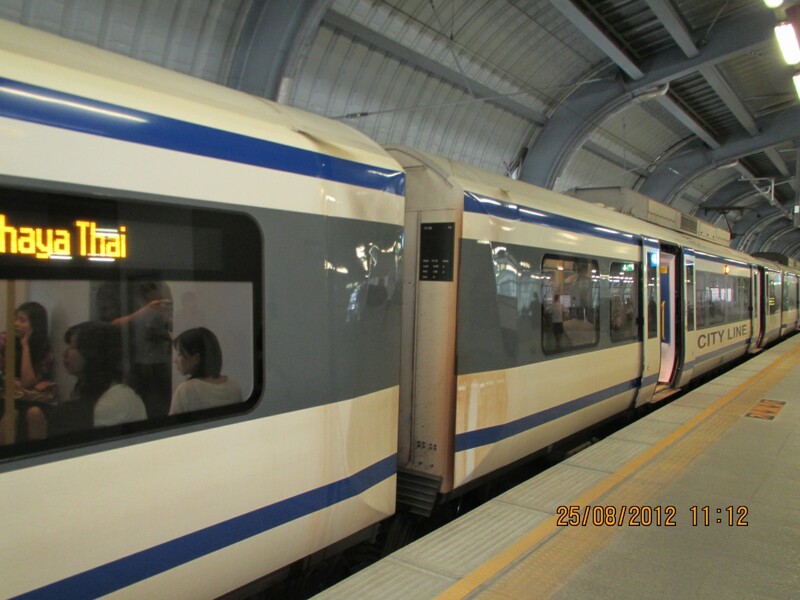 Do you know if the MRT gets very crowded in the afternoon from your previous stay in Bangkok? It was easy to cross the road in the late morning. And the MRT was quite empty at that time. But I can’t tell you about the afternoon, as I wasn’t on it then. I remember from a previous stay the Skytrain being very crowded.